​​​​ AUSTIN – Hyatt reported it will spend $100 million in 2018 to open its Miraval wellness resort at the location formerly known as Travaasa Austin. Located at the north shore of Lake Travis at 13500 FM 2769, the new resort is scheduled to open by the end of 2018. 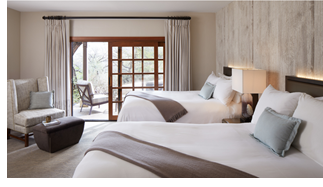 In December 2016, Hyatt acquired the Travaasa Austin for the purpose of redeveloping the 220-acre property into the Miraval Austin.